SHARON'S second book is born and IT'S A ANOTHER GIRL! As you make your life long journey to self discovery this book will help you understand the archtypes that form the feminine psyche. So even though this is an astrology book which will give you an introduction and affirmation for each sign of the zodiac, it will also take you on a journey through the signs and how they relate and follow one another in the natural development of the Self. You have each of these signs in your chart somewhere, either as a planet, an asteroid Goddess, or a placement (a house) in your chart. 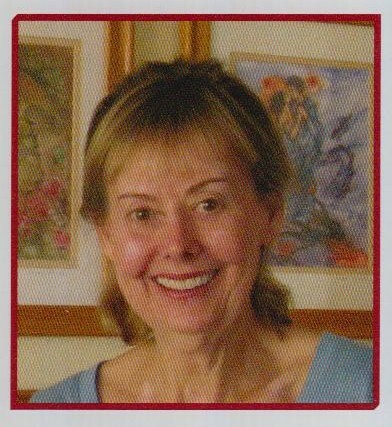 Sharon's beautiful images will give you a feeling and her visual images give you a sense of what astrology is really all about - YOU! ...and all the amazing potential inside you! Sharon' talented and dear girlfriend, Suzy Bennett, has edited and put a labor of love into putting this book together for Sharon. I want to give Suzy a great big THANK YOU for another amazing job! For ONLY $17 you can purchase LIGHTBEARER. 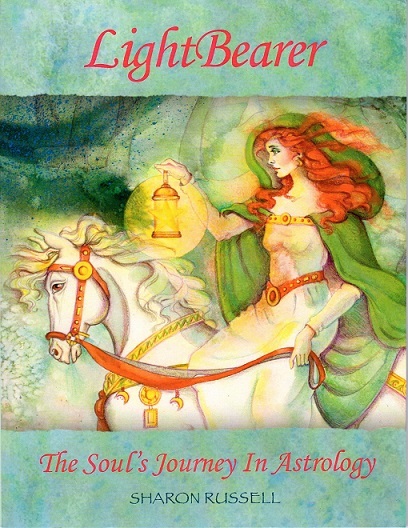 This is a great book for anyone studying astrology at any level from beginner to advanced. It makes a great gift for all your dear women friends too! They will LOVE you for this unforgettable life-transforming and renewing present ! Just click on the ADD TO CART button above to order. We take Paypal and all credit cards! We ship by the next day after we receive your order!